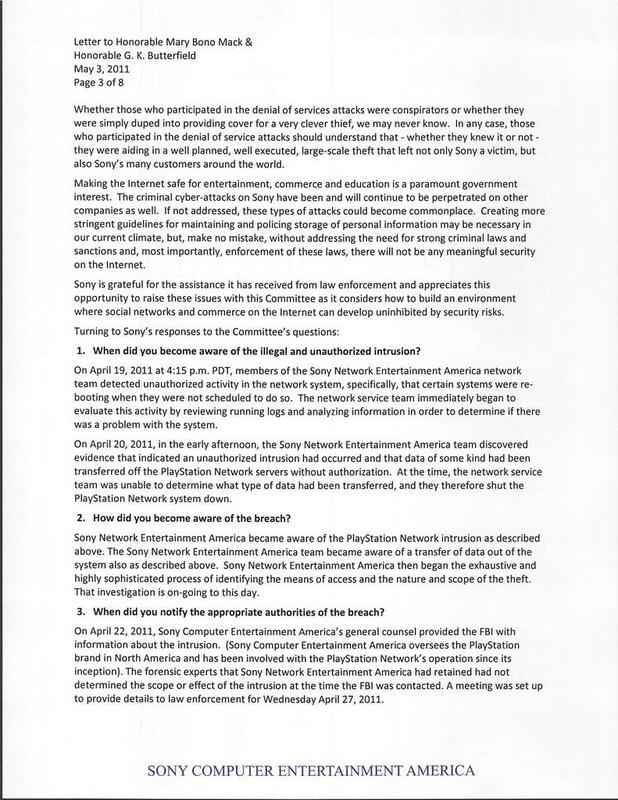 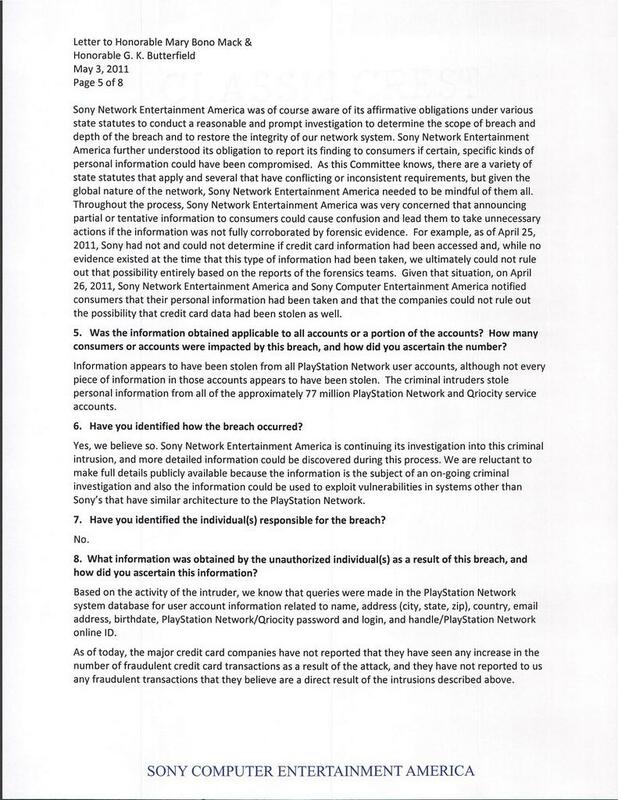 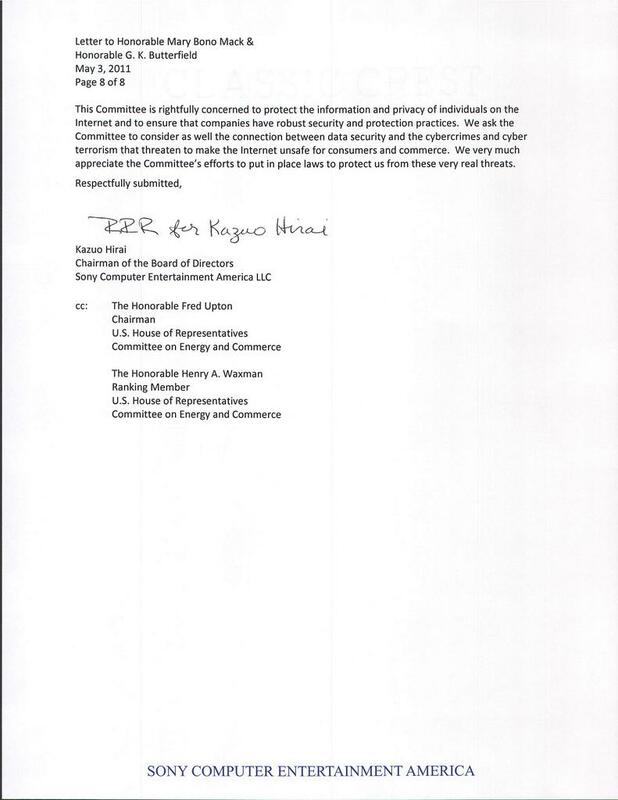 Earlier today, Sony publicly revealed Kaz Hirai’s written response to the Subcommittee on Commerce, Manufacturing, and Trade of the U.S. House of Representatives Committee on Energy and Commerce. 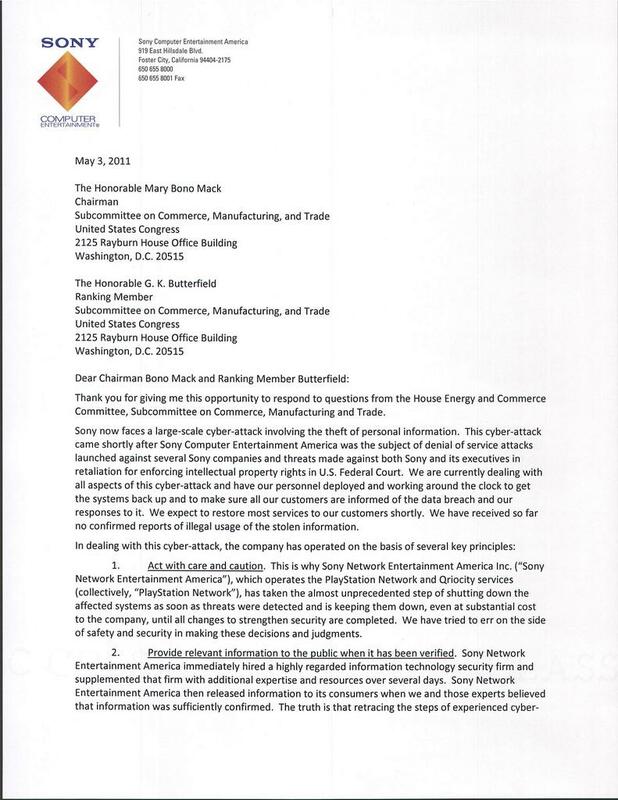 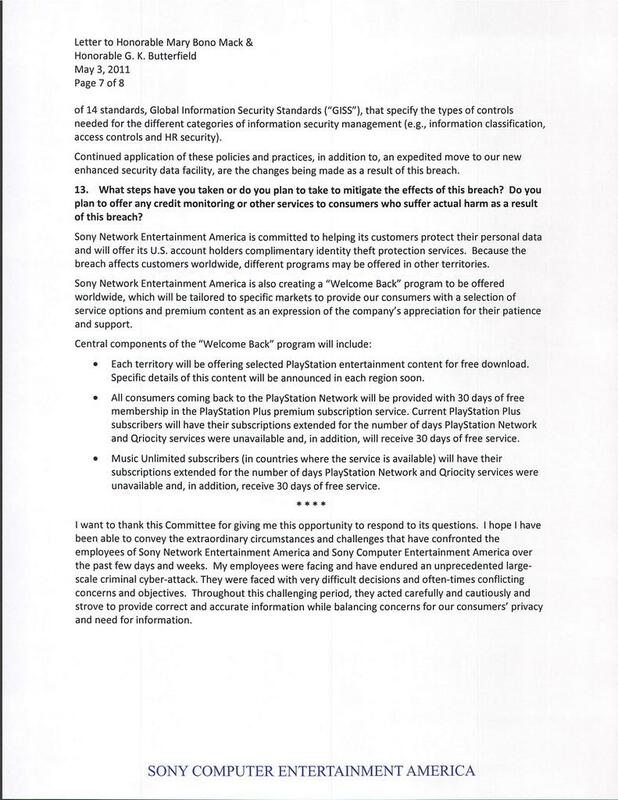 The letter was in response to questions posed by the Committee for the current congressional hearing regarding “The Threat of Data Theft to American Consumers”. 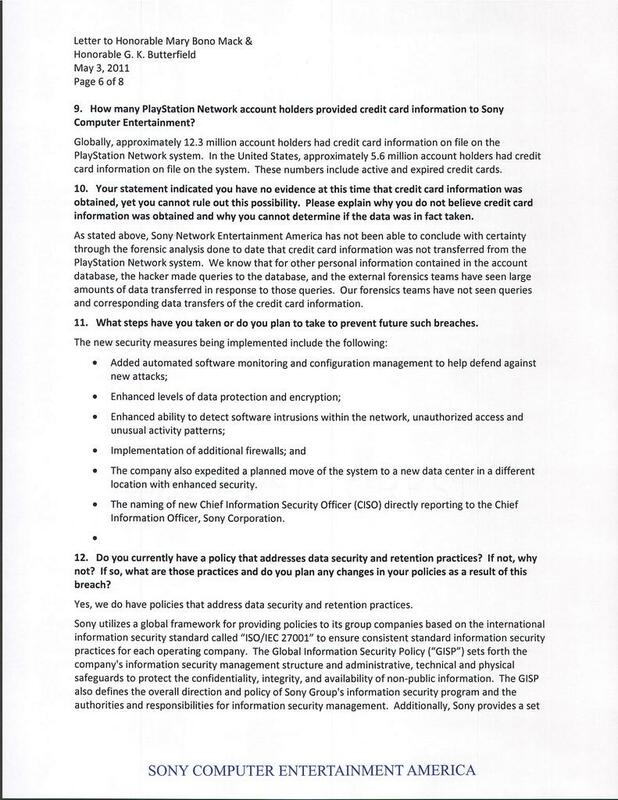 "We discovered that the intruders had planted a file on one of our Sony Online Entertainment servers named “Anonymous” with the words “We are Legion.”"